Use the BET NOW app to watch exclusive content and livestream BET shows. 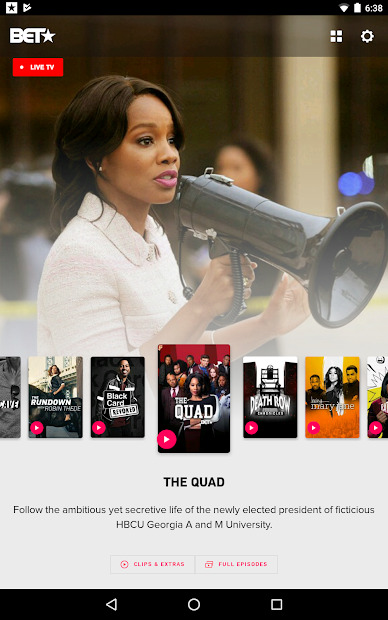 Catch the latest episodes of your favorite TV series, like In Contempt, The Mane Event, 50 Central, Being Mary Jane, The New Edition Story, The Quad, Real Husbands of Hollywood and watch BET News specials. Don’t miss any with the notifications for new episodes and other updates on the go. 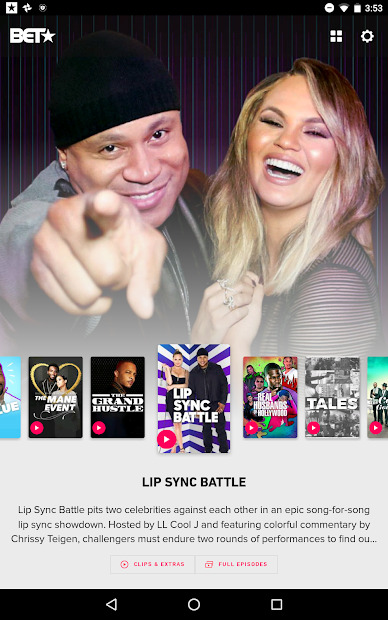 With the new version of the app, you can enjoy BET NOW’s livestream, that lets you watch BET live anytime, anywhere, right on your Android phone or tablet! 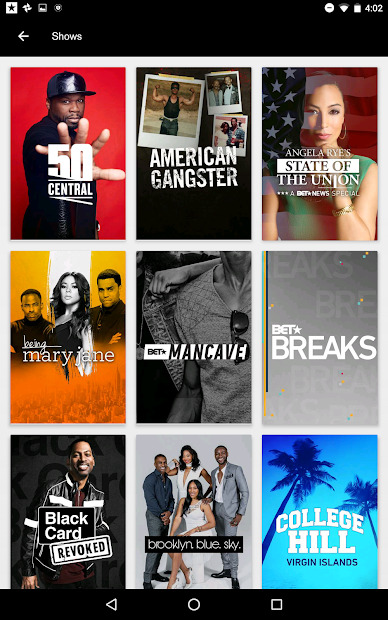 Just tap LIVE TV in the menu to stream BET shows as they air. Of course, you can cast the content to a big screen using Chromecast. Note: Access is included with your TV subscription to participating providers.